This cosy, newly-built cabin lies on the edge of the Vindelfjällen Nature Reserve, the largest nature reserve in Sweden and Europe's largest protected area, and is ideally-placed for couples, families or small groups of friends who wish to get away from it all and have a cosy base to explore the beautiful surrounding wilderness of mountains and ancient forest. The cabin borders the remote and beautiful Vindelfjällen Nature Reserve. Photo: PK. The spacious waterside cabin is located where two rivers meet in a small village in the remote western part of Swedish Lapland. 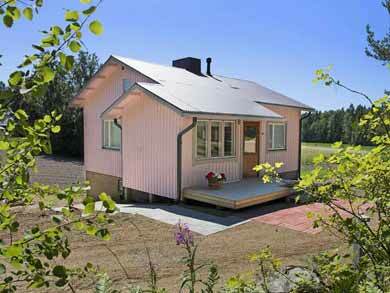 The cabin was constructed in 2014 and has fully-equipped kitchen, living room, large bathroom with WC, shower and sauna. The cabin is suitable for a couple, family or a small group of friends and sleeps up to 6 persons in 3 x 2-person rooms. Located right next to the lake with boat included, the cabin is ideal for fishing. Photo: PK. Boating and Fishing: A rowing boat with electric motor is included as standard, ideal for exploring the lake for general leisure use or to try some of the excellent fishing, and is moored on the beach just 100m from the cabin. The waters around the village offer some of Sweden's best fishing. Arctic Char, trout, rainbox trout are found in the lake as well as grayling, pike, perch and whitefish in the rivers. Trout can be fished the whole summer follwing the spring floods, normally from around mid-June onwards. From mid-July to beginning of September, trout up to several kilograms can be caught. In May and June (though note that for 2019, the cabin is not available for rental during this period due to replacement of the roof taking place in the spring), large rainbow trout can be caught along the beach just by the cabin where the river flows into the lake. Fishing guiding either in the immediate area or including overnight in wilderness cabin can also be arranged on request - ideal if you would like a real "wilderness fishing" experience in the mountain lakes to the north of the village. NB: Please note that fishing equipment is not available to hire - guests wishing to fish should bring own gear. You are permitted to catch only what you can eat during your stay. Hiking: The surrounding area offers a choice of hiking possibilities - you can walk along the river Kirjesån to see the rapids at "Slussforsen", explore the primeval forest or, for those who would like a challenge, cycle to the base of Ryfjället (about 2 hours) and hike the 4km trail to the summit, ascending 1000 metres to the top reaching 1413 metres. The base can also be reached by bus or car in about 30 mins..
Cycling: The quiet country lanes and roads surrounding the cabin are also ideal for cycling, either as a stand-alone activity or in combination with hiking to be able to access trails further afield. 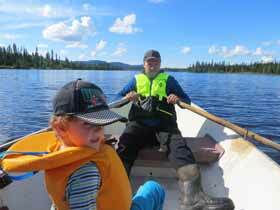 A tour around Lake Umnäs is just one of the possibilities. Up to four adult bikes are available to hire. Foraging: During "bärsäsongen", the berry-picking season (normally August and September), the forests are perfect for foraging expeditions and rich in blueberries, lingonberries, cloudberries, wild raspberries and mushrooms. Visit the Husky Kennels: The cabin is the accommodation used in wintertime for the first and last nights of our Dog Sledding in Northern Lights in Vindelfjällen and Dogsled Adventure in Vindelfjällen experiences. The kennels are at your hosts' house, about 1.6km (20 mins' walk) from the cabin and your host is a four-time Swedish champion and one-time European champion in dogsled racing. You are welcome to visit the kennels during your stay and meet the huskies - there may even be some puppies to play with! Northern Lights: You don't have to wait for winter to see the Northern Lights! As the nights get longer, September and October can offer very good chances to see the Northern Lights, combined with the beautiful forest colours of the Lapland autumn. Swimming: The water temperature of the the lakes in the far north may normally be a little "fresher" than further south, but that shouldn't stop the adventurous from taking a life-affirming dip as the perfect start or end to your day! As well as bathing possibilities just near the cabin, the village also has a bathing area with sandy beach. Whether you are an outdoor enthusiast looking to make the most of the fantastic range of activities possible in the Vindelfjällen area, or simply seeking to experience an authentic slice of life in a peaceful remote area, Petter's Cabin in the Lapland Mountains is well worth the trip! Check-in is from 15.00 on arrival day. Please check-out latest 12.00 on departure day. Rental periods are normally Friday-Friday (other start/end days may be possible by arrangement). We recommend a stay of 8 days/7 nights, but shorter stays are also possible (min. stay 3 nights). For the 2019 season, the cabin is available from earliest arrival 5th July to latest departure 15th September (stays are normally also possible in May and June, but the cabin roof will be replaced during May/June 2019). Check-in is from 15.00 on arrival day, please check-out latest 12.00 on departure day. Prices include bedding, towels and end cleaning. Bikes: Four adult-size bikes are available. Helmets are included. Fishing guide: Please contact us for price information. Fishing guiding can be arranged with or without motor boat. Note that fishing equipment is not available to hire - guests wishing to fish must bring own equipment. Fishing licences required can be purchased locally and will depend on the area you wish to fish - your local hosts will provide more information during your stay. Licence cost typically 100-150 SEK (about £10-£15)/person/area/day. Modern cabin sleeping up to 6 persons. On the ground floor, there is a spacious fully-equipped kitchen with cooker, fridge, freezer and dishwasher, a living room and large bathroom with shower and sauna. On the first floor there are 3 x 2-person bedrooms and a WC/shower. End cleaning, bedding and towels are included (please bring own towels for bathing/swimming). A boat with electric motor is included, which is ideal for fishing or general leisure use. Buoyancy aids are provided. NB: A limited range of sizes for child buoyancy aids are available. Please provide weight information for all children on booking so that suitable buoyancy aids can be provided. Food: There is a small shop and petrol station in the village approx. 1.2km from the cabin which provides a basic but adequate range of general provisions (note that availability of special foods such as gluten-free bread, etc, will be limited in a store of this kind and guests requiring such items should purchase provisions before arrival). Transfers: Guests arriving by bus to Slussfors will be met from the bus stop on arrival. Guests arriving by flight to Vilhelmina (approx. 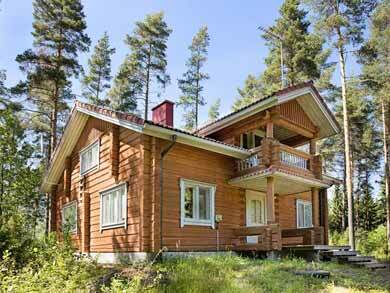 2 hours from Slussfors) will travel independently by hire car or public bus. 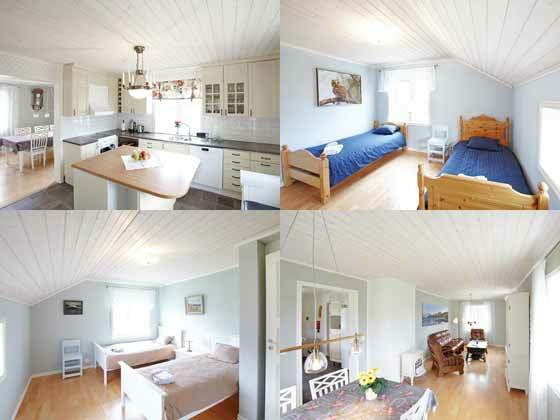 The cottage can accommodate up to 6 persons in 3 x 2-person rooms. Your local host for this experience has a small-scale farm in a remote village community as well as a working husky kennels. Fly to Stockholm then onward to Vilhelmina by domestic flight or night train + bus connection to Slussfors. If flying to Vilhelmina, travel to Slussfors by public bus (around 2 hours) or hire car (1 hour 45 mins). Ferry Dover-Dunkirk or Newcastle-Amsterdam for onward connections to Slussfors. You can also stay here when you go dog sledding in the winter!